In the U.S. there are believed to be more than 10,000 privately owned big cats, including lions, tigers and cougars. In the past two decades, more than 300 dangerous incidents involving captive big cats have resulted in the deaths of 21 people, including 5 children, and close to 250 additional incidents where humans have been mauled or injured. There have also been hundreds of big cats who have been killed and confiscated, according to the International Fund for Animal Welfare. Not only do they pose a safety risk to us, but keeping them at private residences, roadside zoos and businesses that exploit public's desire to play with infants, among other places, has raised serious concerns about their psychological and physical welfare. Unfortunately, not all states are equal when it comes to regulating private ownership and keeping people and big cats safe. A number of states have laws banning the private possession of big cats, but many others have weak or no laws at all in place at all. Big cat advocates have been working to get the Big Cat Public Safety Act passed this year, which will fix the patchwork of state laws by creating a federal ban private ownership and breeding of big cats in the U.S. Please sign the petition asking your representative to support and co-sponsor the Big Cat Public Safety Act. As someone who cares about animal welfare, I am writing to ask you to support and co-sponsor the Big Cats and Public Safety Protection Act (HR 3546). 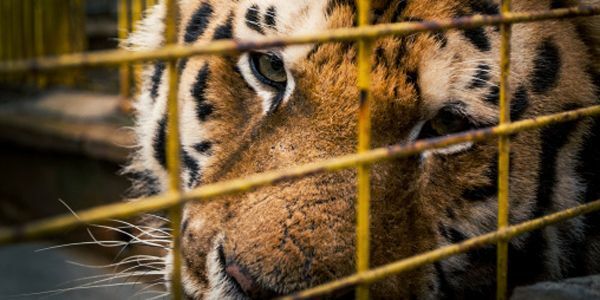 This bill will fix fix the patchwork of state laws by creating a federal ban private ownership and breeding of big cats in the U.S. I sincerely hope you will help keep big cats and the public safe by supporting and co-sponsoring this important piece of legislation.